What is Car Care detailing? Car care detailing is a process of comprehensive cleaning inside and out, to get the car in the best possible condition. This includes thorough cleaning of the vehicle to improve the quality, protection and condition of the car. The process is very different from the regular maintenance, that we use to take routine care of our vehicle. It aims to polish the visual and service the functional aesthetics of the car. Which services are included in Car Care detailing? Car detailing involves rigorous cleaning of the interior and exterior car assembly. This process includes vacuum cleaning of the car interiors, dry cleaning of car seats, upholstery cleaning, windshield cleaning, application of wax coating, dashboard and console detailed rejuvenation, high pressure spray, foam wash, boot vacuumed, seats shampooed, interior deodorized, ash tray cleaned, door rubbers treated, door jambs cleaned, mats detailed, roof lining spot cleaned, tyre and bumper dressing. What is the need of the Professional Car Care Detailing Service? Most of the vehicle owners clean their vehicle on a regular basis. This is not enough for your vehicle and hence, generating the urge of car care detailing. Car detailing is a periodic maintenance using the most efficient tools and techniques. This assures cleansing of the entire vehicle including, each of the interior and exterior segment. 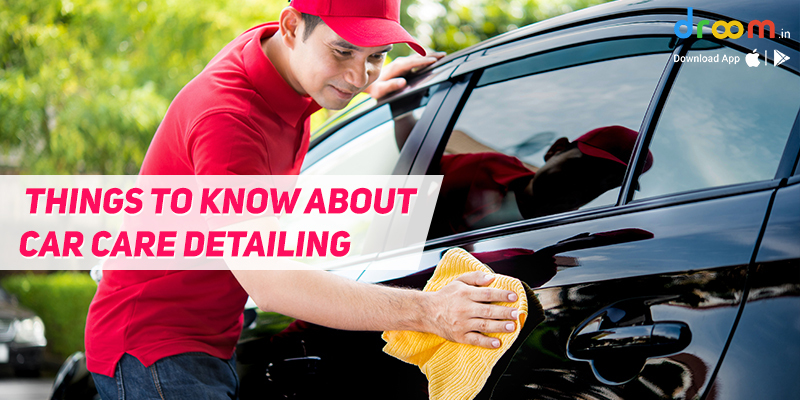 What are the benefits of Car Detailing service? The service will enhance the overall ambience of your car interior, looks of the exterior and functioning of the complex motor assembly. Highly skilled and trained professional will polish your car inside out. No doubt, the vehicle gets eroded with the weather. This gradually affects the paint, shine and condition of the car. Regular car detailing will protect your car’s interior and exterior from the road dirt, acid rain and other harmful pollutants present in the air. It is important to maintain hygiene of your personal vehicle. Although, with the exposure to dirt and moisture a vehicle invites many unwanted germs and allergens. Hence, it is essential to treat the vehicle against these foreign organisms. A car detailed regularly, holds more value in comparison to a non-detailed vehicle. The detailed car can get a better price from the buyer. A shiny and spot-free car will increase the resale value to a considerable amount. 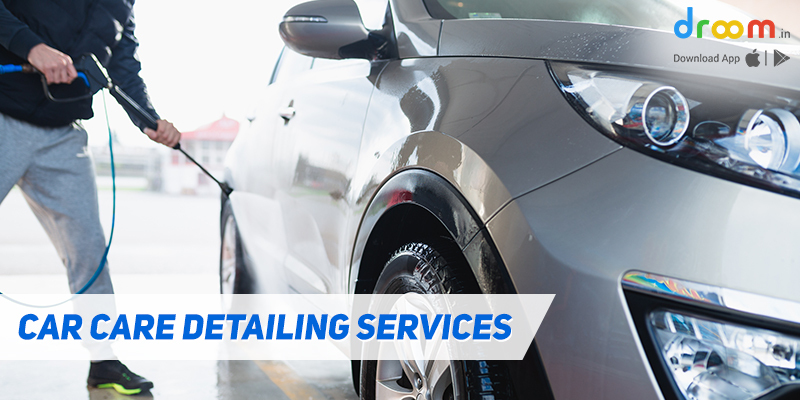 Now, when you have deep knowledge about car care detailing service, you can book for one. Auto detailing will make your car better, cleaner, shiner as bought brand new. It is recommended by the auto-car experts to get a car detailing service every six months.